I don't ask much from breakfast food commercials. In fact, I'm indifferent to them. 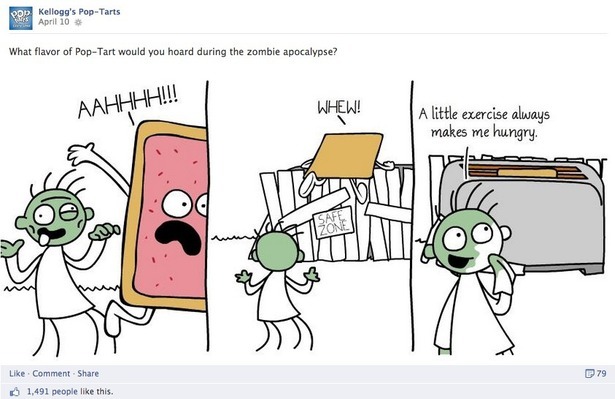 But when Pop-Tart children start to get devoured on screen...I'm only slightly disturbed, ja feel? 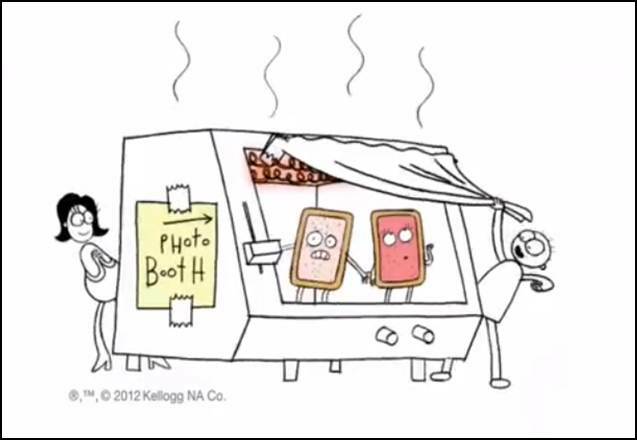 These Pop-Tart friends of ours just wanted to take some cute Photo-booth pics - nothing to see here folks. They were probably on a date or something. Have fun, you crazy kids. 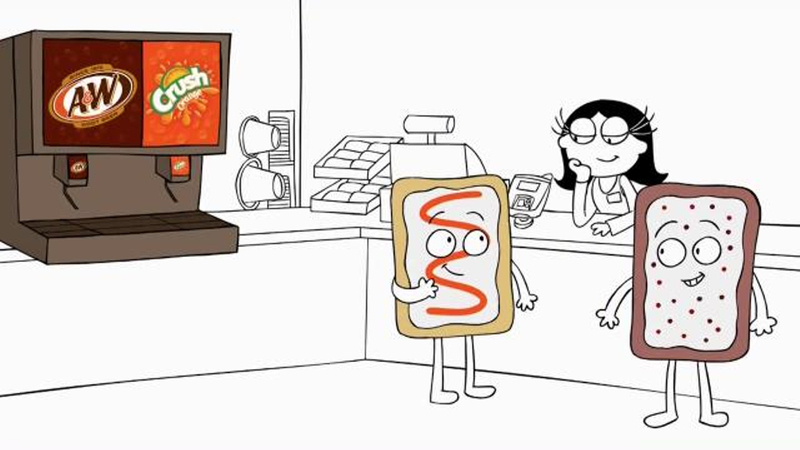 Why are Pop-Tarts bamboozled so easily? 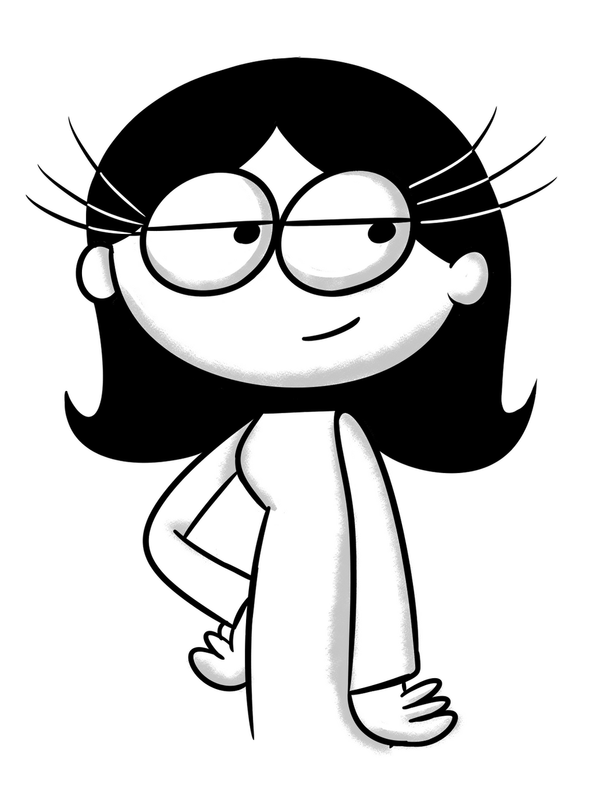 Why are the cartoon versions of us so cruel and scheming?? Okay real-life versions of us are the same, but that's a different post all together. SERioUsLy, look at that same hapless yodeler-Pop-Tart. When will the injustices stop? 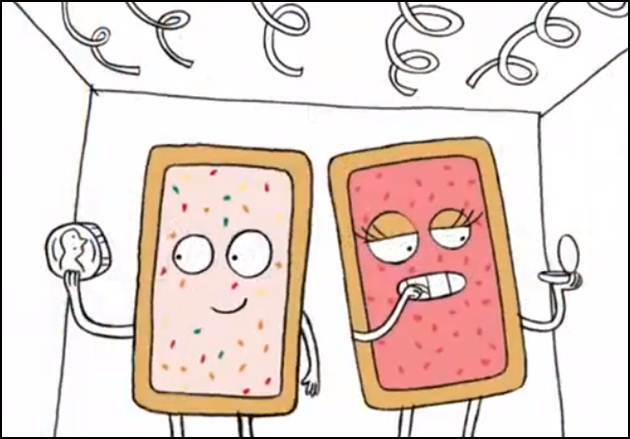 This lizard is helping a Pop-Tart hide from the murderous-cartoon-people. PSYCHEEEEEE LOOK CLOSER HE'S IN A TOASTER. A TOASTER!!!! To be fair though, the lizard was already eating a Pop-Tart, so our friend (the gullible Pop-Tart) should have used some room context-clues. Jsay. 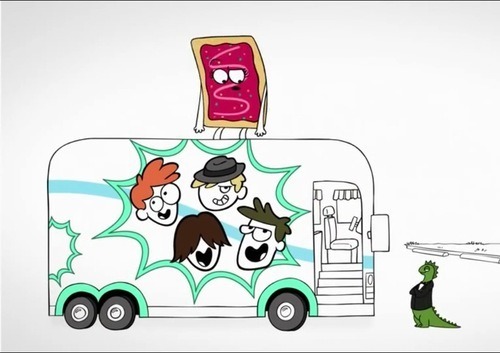 Now the lizard is tricking this fan-girl Pop-Tart into her fav band's tour bus. JUST KIDDING IT'S A TOASTER! Seriously, this lizard is beyond being a super-sleuth. He's downright Slytherin. But tbh, I'm a bit partial to the lizard. 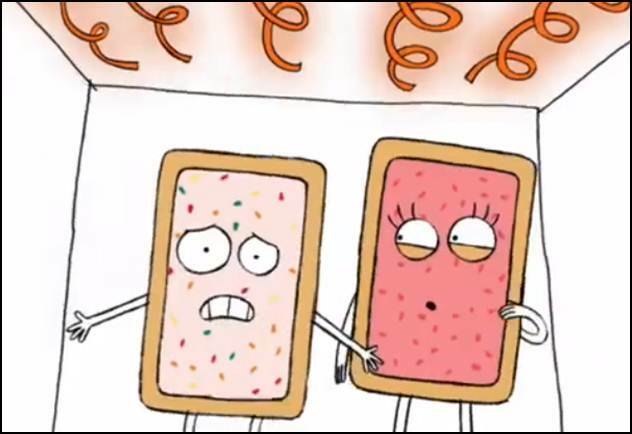 But back to Pop-Tart annihilation. Some stick-figure-people will stop at nothing. 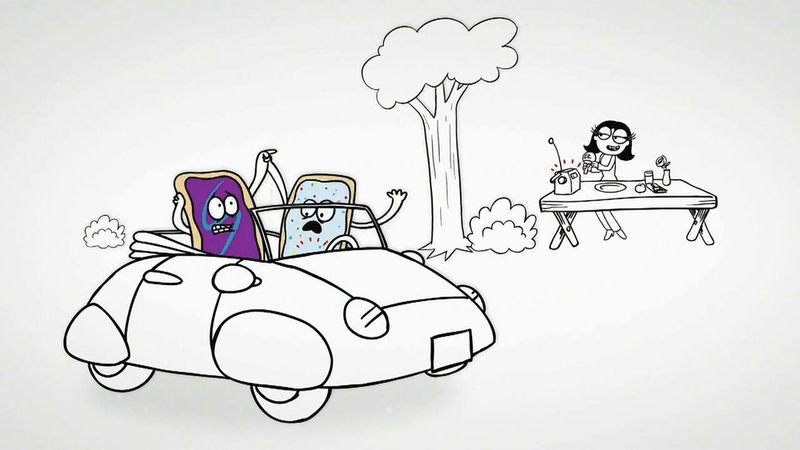 In this commercial, the cartoon-murderess fools the poor Pop-Tarts into thinking she's kind and giving - she offers them delicious soda. She's changed, right? She's different! "Can't hold your soda, boys?" she says this, she actually says this with a knife and fork in her hands. But that's nothing compared to what's to come. A jar of peanut butter and a jar of jelly, in love, cooing over their newborn child (who is a Pop-Tart, but that's not important). 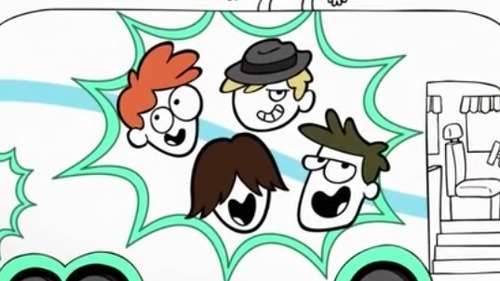 NOPE HAPPY ENDING OVER BECAUSE WHAT EVEN??!!! 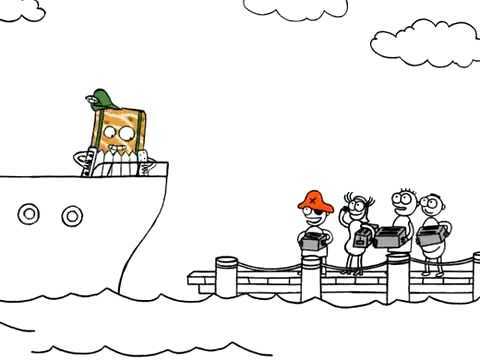 I think we all know who the Final Boss in this Pop-Tart video game is. And I'm not sure how we're supposed to defeat her, fam. The lizard is wrongly framed. 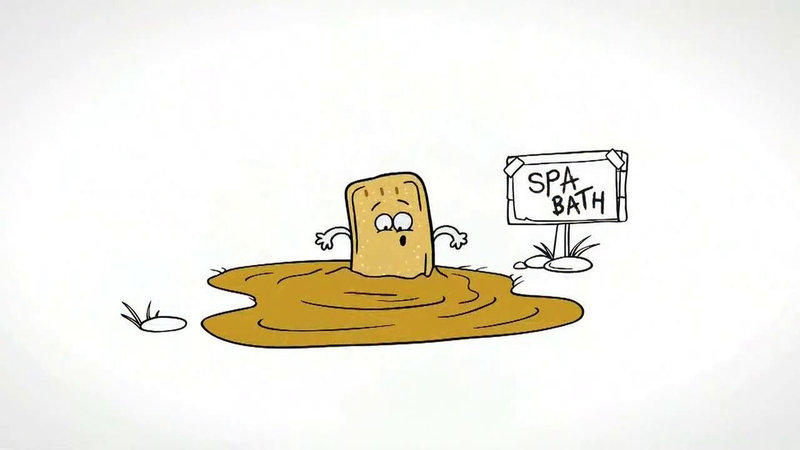 Look, if you're into seeing personified foods getting eaten alive, check out a Krave commercial and maybe those Lays Mr. Potato Head ones while you're at it...I guess we ourselves end up eating them too, but that's just besides the point. I'm taking a stand for the victimized Pop-Tarts. These loyal breakfast foods shouldn't be so easily tricked into such torturous situations with no way out. They can easily just come into my toaster, where I'll make things a lot less savage. Wait what. 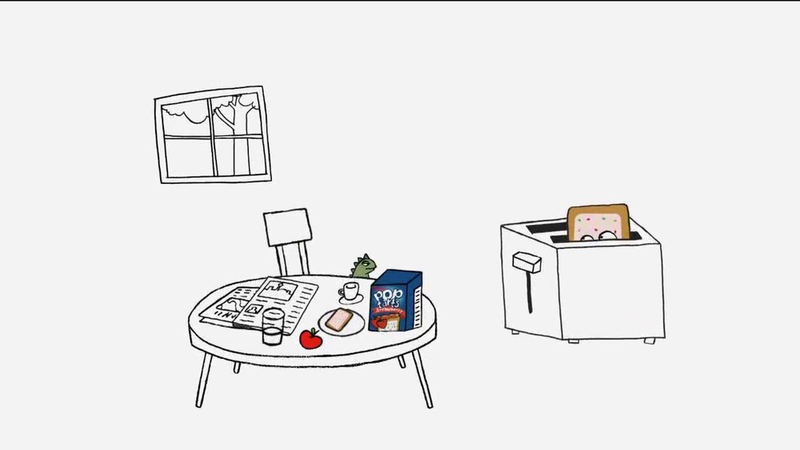 Okay, maaaaybe Pop-Tarts getting devoured is a little bit unavoidable. And maaaaybe I'm a part of the problem. Don't let this post fool you: Pop-Tarts are downright delicious. Kellogg's - your commercials are telling no lies. 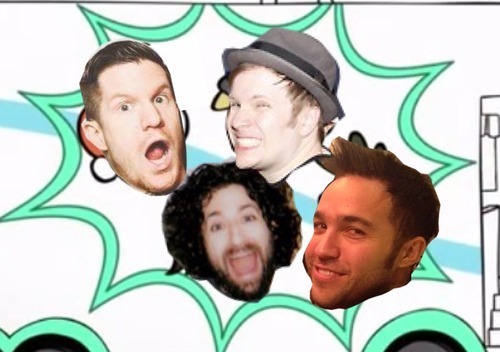 We are the murderous and unrelenting cartoon people. And we might as well admit to it now. Although I might have spared that baby Pop-Tart. I'm not a monster, sheesh. 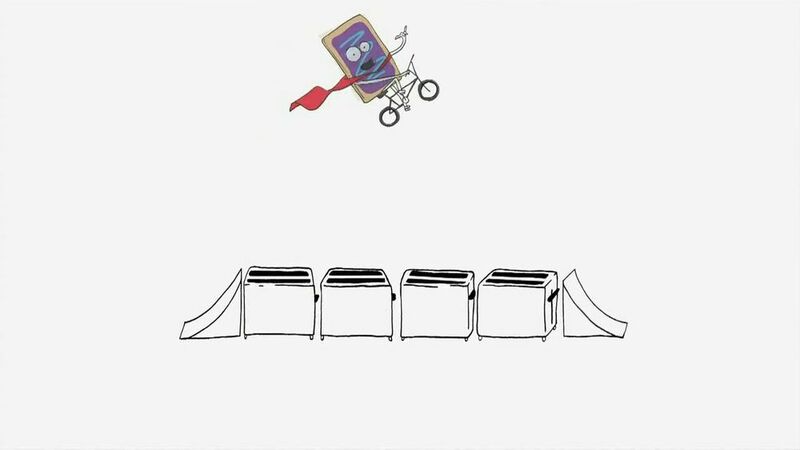 In the meantime - keep living your dreams, Pop-Tarts.